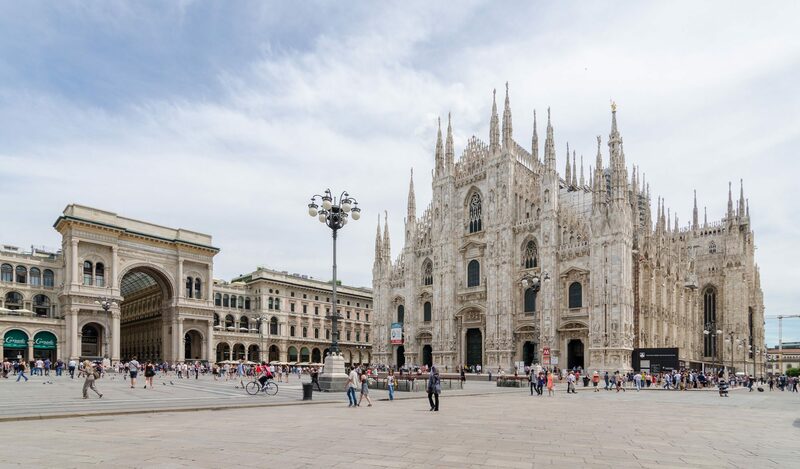 From 18 to 20 June 2019, ecorisQ organises the sixth general assembly in Milano, Italy. Members are invited to participate at a technical symposium on shallow landslides and rockfall hazard assessment on the first day. The detailed program can be found here. The international Symposium on Rock Slope Stability in Chambéry aims to bring together actors of the academic and professional sectors over three days (from 13 to 15 November 2018), around the following topics: Site investigation and rockfall hazard modelling, Monitoring techniques, Rockfall trajectory analysis, Risk management, Protection structures, Case studies. More information can be found on the Sympoisium website. On the 20th and 21st of June 2018, ecorisQ organises the fifth general assembly in Norway. Members are invited to participate at a technical symposium on shallow landslides and rockfall hazard assessment in Oslo on the first day. After the meeting, we organise, in collaboration with the NGI, an interesting trip and excursion to the Telemark region. The detailed program can be downloaded here. On Friday the 22nd of June 2018, after the general assembly, we organise a 1-day training course on SOSlope (click here for the program) in Oslo. On 16 and 17 May 2017, ecorisQ organises the 10th training course on rockfall hazard assessement using the rockfall trajectory simulation model Rockyfor3D. The course will be held in the region around Lausanne (Chexbres, Switzerland) and includes a half day field visit (Mont-Pélérin). The spoken language will be english (with partial translations in French and German). The cost of this training will be 460 Euro incl. lunch and coffee breaks for both days (excl. overnight stay; max. 20 participants - only ecorisQ members; non-members should apply for membership first). The program can be found here. On 17 November 2016, ecorisQ organises the third general assembly in Lyon (France). We link up with the Rock Slope Stability Symposium 2016 (RSS 2016), which takes place from 15 - 17 November 2016. Members are invited to obtain latest news on the status of ecorisQ and its future activities, as well as on the new ecorisQ tool SOSlope, which allows detailed assessment of potential shallow landslide release areas and volumes, with and without the reinforcing effect of forest vegetation. The programm can be downloaded here. The 4th international conference on Soil Bio- and Eco-engineering - "The Use of Vegetation to Improve Slope Stability" will take place from the 11th to the 14th of July 2016 in Sydney - Australia. This conference is preceeded by a workshop (9th and 10th of July 2016) on Root reinforcement - measuerements and modelling, where ecorisQ is actively involved. The 16th and 17th of June 2015 ecorisQ organised a training on rockfall hazard assessement using the rockfall trajectory simulation model Rockyfor3D. The training was held in Schruns(Montafon, Vorarlberg, Austria) and included a half day field visit (in Gaschurn). The program can be found here. The spoken language was German and English and the training was given by Luuk Dorren.